Location: Km 9+800 on SR599, S.Arcangelo village, Trasimeno Lake (Perugia, Umbria Region, Italy). The SR599 is blocked Southbound to Perugia since July 28th, 2011, due to a landslide occurred on May 12th, 2011. From May 12th, 2012 there is only one lane available, and a temporary traffic light directs the flow of traffic on both ways. 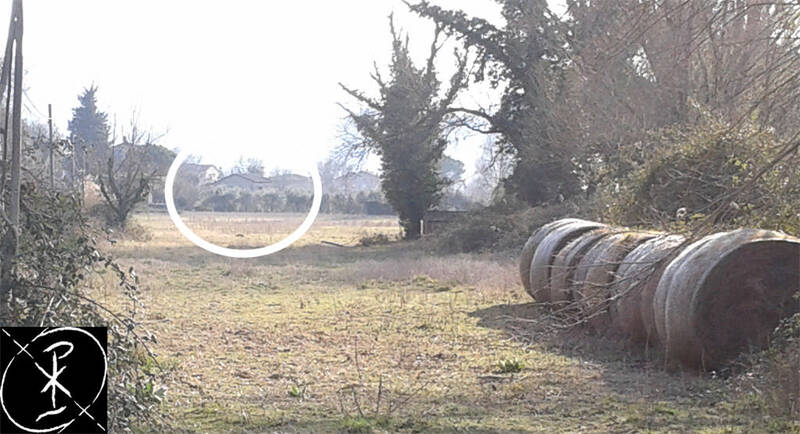 The sighting has been reported on March 4th, 2015 by Tuttoggi.info website’s reporter Sara Minciaroni, and then bounced into other local online media. The picture published with the first article has been allegedly taken with a cell phone by an anonymous girl. The date when the picture was taken is unknown. The photograph shows a human-like figure with blurred contours who appears to wear a Roman tunic. The figure has wide shoulders, and a hat or halo upon the head. The body proportions are not balanced with that of his head. The face features are not visible. The colors of the sky seem to indicate that the picture could have been shot late at night; however doubts of a digital intervention exist due to the quality of the red light: the original photographs shows a perfectly clear traffic light and red luminescence, when in all our visits to the site, every attempt to reproduce the same clear effects failed (we have used various phones, cameras, and at different times of the day in three different days, with different weather conditions, and at different angles – see below). The analysis of the original photograph through the reading of its EXIFF data would clear all doubts and allow an accurate assessment of the phenomenon. We do not possess the original picture. Our first visit was at day time (14:30-16:30hrs), so that we could observe the terrain, note the distances, atmospheric pollution, reference objects or landmarks, etc. The road goes along a woody slope southbound, to the top of which stands a huge mansion), and to the North side faces the Trasimeno Lake. A guard rail is mounted to this side; over which the terrain makes a 40 degree inclination to reach the lake level. Between the road and the lake is a 50 meters flat land which stretches lengthwise for about 2 Km parallel with the road. The village of Sant’Arcangelo (Saint Archangel) begins at the end of this field. There are no constructions or buildings on this field, except a small adobe hut with no windows, probably used by local farmers as tools storage. The above three pics were taken at the sighting point (by a Samsung mobile phones’ integrated camera), and show a slight mist together with tube-like, 3D formations which were completely invisible to the naked eye. We excluded light issues or reflections of any sort, for the formations take too many angles and different directions. They resemble the “Apports” or semi-consistent, ectoplasmatic apparitions that frequently accompany paranormal events. The telephone line post seems to be the closest object to the sighting. A sign or panel could have been hung to it to resemble the humanoid shape of the “ghost”. 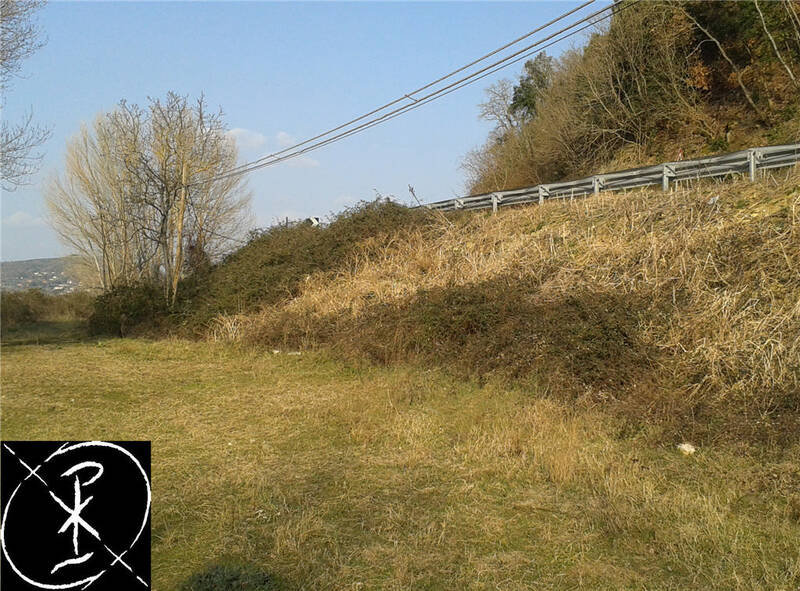 Picture above – Distances from street to slope to flat terrain at lake level. We have checked how hard would be for a person to stand erect behind the guard rail. The distance to the road is so little that anyone would be easily recognized as a person from a passing vehicle. One of the night photographs we took at lake level from the sighting point. The luminous spherical formations in photography are dismissed as mere lens defects due to atmospheric conditions or poor cleanness of the glass; in the terminology of Spiritism, however they are often referred to as “Orbs” or ESP Globular Manifestations caused by supernatural entities. Note that in the second investigation (performed at a month distance from this first one), none of the photographs taken – at the same time and with the same camera (Canon Semireflex) showed these spheres. This light source comes from the house at the end of the flat terrain, right before the beginning of the village (as confirmed from our daytime scouting pictures below). Such glowing source remains unidentified to date. The two light spots confronted and highlighted. The second spot clearly shows the shape of an illuminated window, whereas the first one appears as an inconsistent spheroid surrounded by some sort of a halo or fog. We came back to the sighting point for the third time at dusk, and took a series of photograph in the attempt to compare the image of the “ghost” with that of a 182cm (5’11inch) tall adult male. We overlapped the two images to understand the exact proportions of that figure. 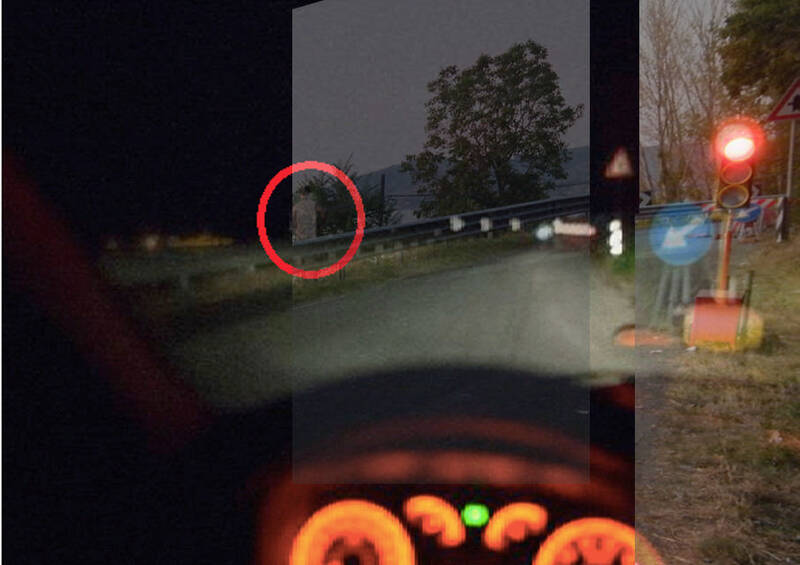 As shown in the picture, the adult male overlaps almost completely the shape of the “ghost” which, in the original photograph, seems to be of a huge dimensions. Spirits and Ghosts’ sightings are most commonly concentrated in places where murders, violent deaths or tragedies occurred. 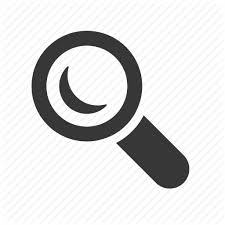 These events left an “energetic” grid in the environment which can be detected by human senses or technological devices, depending on how strong is the energy grid. • October 1985: Francesco Narducci, a well-known doctor of Perugia, dies in mysterious and never solved circumstances in the middle of the Trasimeno Lake, between Sant’Arcangelo and the Polvese Island. • 2001: Arnaldo Budelli, Fisherman (husband of Mr. Baiocco’s sister) dies near the old dock. He allegedly drowned after his boat capsized. • March 03rd, 2011: Ugo Baiocco, the fisherman who found the alleged corpse of Narducci in the 80s, is found dead near the old dock. In this occasion, too, his boat capsized. • February 17th, 2015: a fisherman drowns nearby the old dock after his canoe capsizes. In the montage above we compare the speed gauge with the alleged ghost sighting. Even if the overlapping is almost a match (see the street signs), we believe it is hard that the two elements can be confused, the more so if their dimensions and placement are considered. From our three investigations we deem it highly unlikely (albeit not impossible) that the figure captured in the photograph could be that of a person standing behind the guard rail. That person would have been easily identified as such even if wearing a costume. More likely is that a panel or board was placed on the ground or against the telephone line pole. We didn’t find signs of recent digging. Then we may suppose that the photograph was not taken recently, but some time before the posting of the March 04th news on the internet. The 3 pictures above show the anomalies which we have encountered during the photographic investigation (none which were visible to the naked eye); We didn’t detect anything suspicious or over-the-line in terms of sensory or psychic manifestations, therefore we cannot state that paranormal phenomena were at work during our time on the site. No variations or sensitive alterations in the magnetic, electric, and thermal fields were detected. We cannot confirm that the photograph published on March 4th shows a ghost apparition, and in fact it is more likely that we are confronting a case of digital manipulation of a photograph. That being said, we believe that the area within a mile radius (surrounding the old dock of Sant’Arcangelo and until Road SR599) retains various kind of energies capable of altering the electromagnetic field; this we could appreciate by observing the tubes and spheroids that were captured by our cameras. Such energies could be the consequence of the many episodes of deaths occurred over the years in that area; or they could be the very cause of said violent events. The local Folk Lore tells us that the Trasimeno Lake has got a reputation of a magical lake inhabited by evil spirits since ancestral times (see the legend of Trasimeno).